What is the status of your hair now? Perms can be wonderful on healthy hair and not so wonderful on colored or over-processed hair. If you are considering getting a perm you want to look at the status of your hair today and decide if a perm will help your look or hurt it by adding to your hairs problems. Generally it is not a good idea to get a perm if you have very dry or colored hair. Often coloring your hair dries it out and submits it to some degree of damage. By adding a perm on top of a color you can end up with very dry and brittle hair. If you want to know how healthy your hair is today you can do something professionals have been doing for a very long time. Take a glass of water and place in it a few strands of your hair. If your hair floats then it is healthy; if it sinks then it is absorbing water and is likely too dry to try and perm. While getting a trim can be accomplished in most hair cutting establishments, if you are looking for a perm or a color you need to find a professional stylist who is educated on the latest advancements in perms and colorings to make sure you get the best results. Take the time and schedule a sit-down meeting with the professional stylist and ask questions about the perm you are interested in. Let them know all of the processes your hair has been through in the last couple of years and what their opinion is on the possible outcome of your perm. You should take in a photo, if at all possible, of the way you want your perm to look and ask if it is a reasonable expectation for your hair type. Use the knowledge they have to get the best perm for your hair! Finding that professional stylist takes a bit of time. Call around to your friends and to local salons and ask if they have someone who specializes in perms; if they do not then call someone else. If you are considering a perm then you need to take the time to make sure you get the best outcome possible. Do you already have a perm? Then don’t forget to take care of it and use the right products. We recommend a couple of really good product lines for your permed hair. 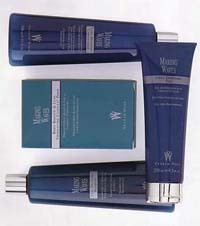 Graham Webb’s Making Waves is a curl defining line that revitalizes naturally curly or permed hair. Another great product line for your curly hair is Matrix Curl Life. Matrix Curl Life is a curl defining system. Everything a curl needs from shampoo to styling. Unique salon technology fuses moisturizers and curl-defining stylers into every step to create perfectly contoured, frizz-free curls. Last, but definately not least, there’s the Iso Bouncy hair products. Iso Bouncy products revive your limp curls and give them life and body. Using the right products on your perm can keep it looking beautiful, healthy, alive, just the way it looked when you first got your perm.